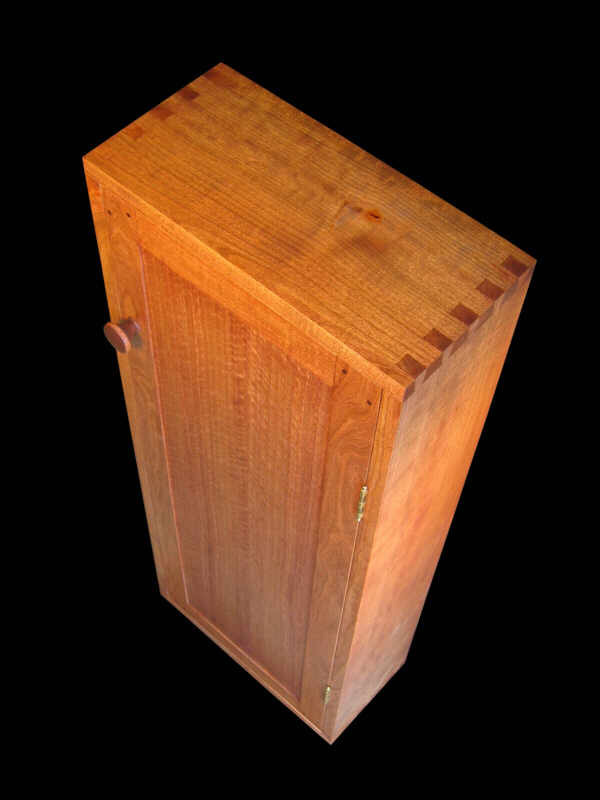 ThisCD/ Dvd Storage Cabinet has adjustable shelves. 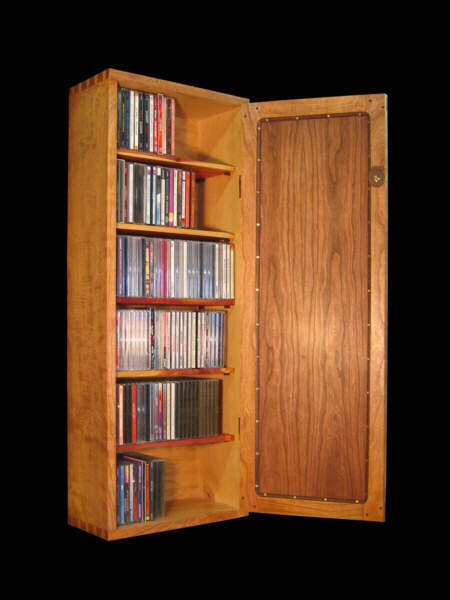 Each shelve can hold up to 30 Cds or 21 Dvds. 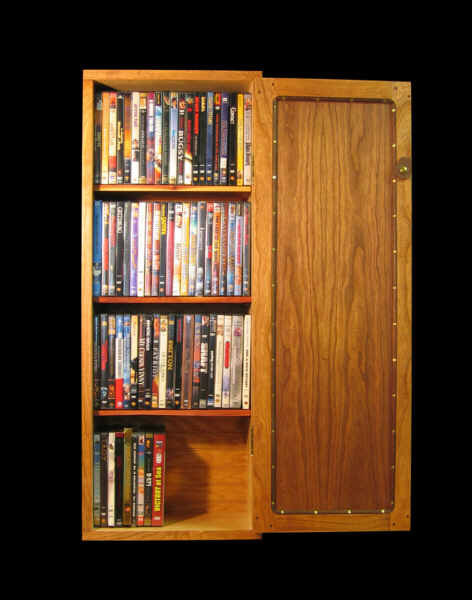 The cabinet is provided with six shelves giving a total capacity of 180 Cds or 126 Dvds. 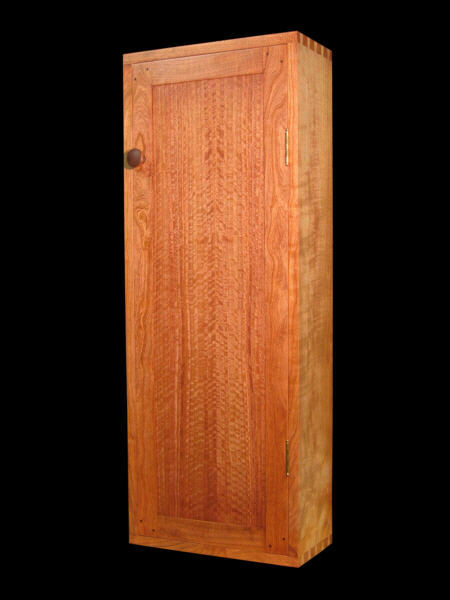 All casework is fully hand dovetailed as usual and the door has a special turning knob catch. 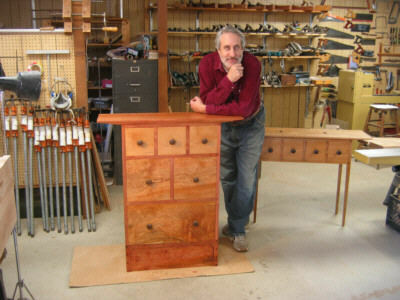 Because of this cabinet's small size it can fit almost anywhere or even be hung on a wall. 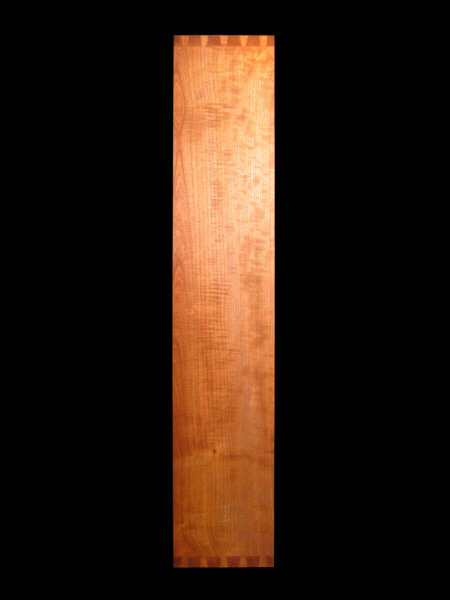 May be made in a large variety of woods. 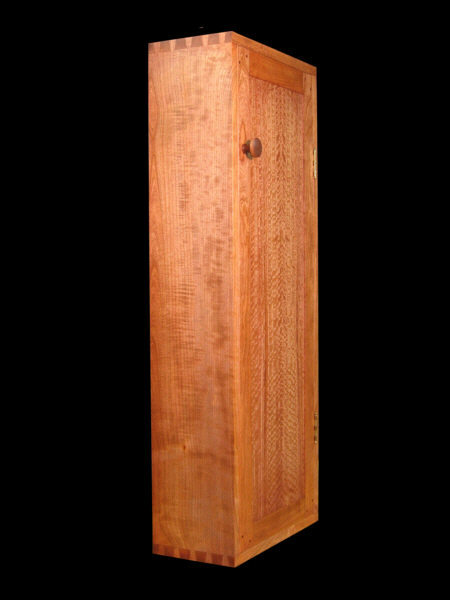 Cabinet Dimensions: 36 5/8" H x 14" W x 7" D.